While some people are not familiar with them, pretrial service programs refer to procedures in the United States used to prepare cases for court trial. The state of Georgia, like many other states, offers pretrial service programs at a county level. 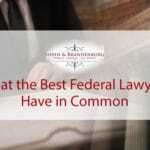 The United States federal courts also operate pretrial services in each one of the 94 federal districts. The rationale behind pretrial service is to gather details about defendants to determine risk, to make recommendations to courts of law concerning release conditions, and to supervise individuals who are released from custody during the pretrial phase. Pretrial services are used by courts in a number of ways, which will be reviewed below. These programs provide universal and impartial screening of all individuals who are arrested on criminal charges before their first appearances in court. Following an initial interview before a person’s first appearance in court, pretrial services verify the information that is gathered in this conversation. As part of pretrial services, a risk assessment is used to determine the risk of an individual to fail to appear to court or to commit a new offense while awaiting adjudication. The pretrial services program recommends bond conditions as well as possible diversion eligibility based on the risk that a person presents. Pretrial service programs follow up with individuals who are not released from imprisonment. By reviewing these cases, pretrial service programs are able to inform courts about new information as well as to make revised recommendations. Pretrial service programs provide supervision to individuals who have already been released. These programs also help to make sure that individuals follow established conditions once they are released from imprisonment. Some of these conditions include regular check-ins with pretrial services, substance abuse treatment, mental health treatment, or electronic monitoring. Pretrial service programs track various measurement including safety rate, success rate, and pretrial detainee rate to improve how the pretrial service program operates in the future. A person’s first court hearing in Georgia (which is referred to as a First Appearance) will often occur within 24 hours of his or her arrest. During this hearing, a judge will determine the conditions under which an individual will be released from custody and a subsequent court date will be set. If it is determined that you will be released on your own recognizance, this means that you will be released on your promise to appear at future court hearings. If you are released to the custody of pretrial service, you will be required to report to the supervision unit and meet any conditions of release. Pretrial Services will be responsible for informing the court if you do not meet any of the terms of compliance. No matter what phase you are currently navigating in the criminal trial process, it is critical to have the assistance of an experienced criminal defense attorney. 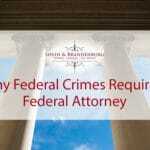 Contact the Federal Criminal Law Center today to schedule an initial free consultation. We understand the numerous complicated issues that arise in these cases and we are prepared to fight for the results you deserve. This entry was posted in Criminal Defense, Federal Crimes, Pretrial and tagged criminal defense attorneys, Federal Criminal Cases, pretrial, pretrial services. Bookmark the permalink.